Inspired by Susy’s travels in the Cascade mountains of the Northwestern United States, the works connote visions of flowing streams, quiet reflection and nature as an antidote to life’s continual challenges. 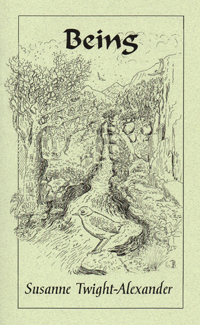 The book also features a number of illustrations by artist Bella Peralta, including the ouzel at a mountain stream gracing the front cover. To purchase: Please contact a bookstore near you, purchase here or go to my e-store at http://www.createspace.com.